Report on Business Newfoundland’s reckoning: Will the province crumble under its debt load? The water tower in the Galway Living, a planned community being developed by former premier Danny Williams. When you go looking for evidence that Newfoundland and Labrador’s economic dream is alive, you won’t find it in the tourism bureau images of sleepy fishing villages and freshly laundered sheets waving on a line in impossibly green fields. It’s not in Bull Arm, the offshore oil platform construction site that has sat largely empty for most of the past year and a half. You’ll find it in 2,400 acres of rock, trees and nascent suburban ambition on the southwestern fringe of St. John’s, known as Galway. Galway is the audacious vision of Danny Williams, the province’s wealthy and colourful former premier. His private company, DewCor, has spent the past several years (and more than $100-million of Williams family money) working on perhaps the grandest real estate development in the province’s history. There are residential, retail and commercial sections, parks and walking paths, plans for schools and banks and pubs and coffee shops. It still takes some imagination to picture it all; the streets are mostly empty, there are clusters of homes and stores under construction, there are only a smattering of residents so far. But eventually, the plan is for about 15,000 people to live here – which would make it bigger than all but five municipalities in the province (population 525,000). 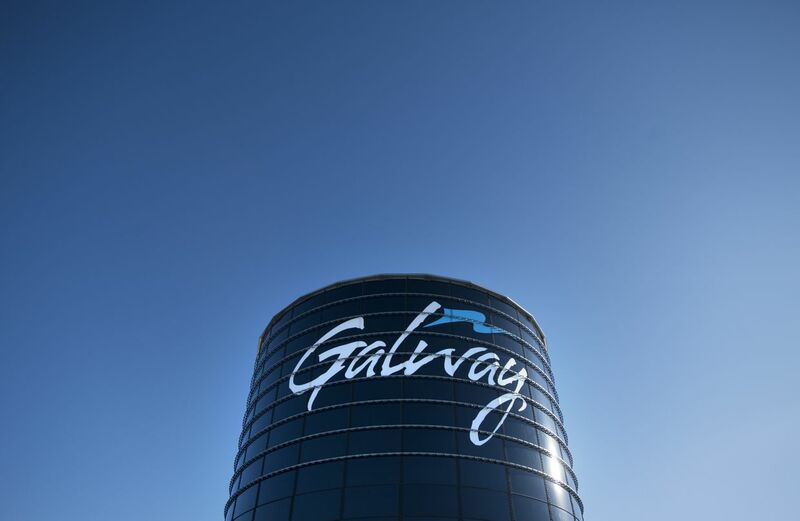 The province’s stereotypical brightly coloured clapboard and old-world charm is nowhere to be found in Galway – supplanted here by sleek, modern dream homes with big lots and double garages, wide suburban boulevards and big-box retailers. Galway isn’t a subdivision, it’s practically a new city. This would be an extraordinary development project even if it were taking place in an economic boom. But DewCor has been forging ahead in the midst of a Newfoundland economy that has spent the past five years slipping in and out of recession. The Galway Living subdivision, shown on Feb. 24, 2019. There’s a certain irony that Danny Williams’s dream development – some have called it the former premier’s legacy project – is coming to life at the same time his most controversial legacy of his time in office has become a major albatross around Newfoundland’s economic neck. The Muskrat cost overruns have pushed the already daunting provincial debt load into potentially dangerous territory – so high, in fact, that some experts have openly questioned Newfoundland’s long-term capacity to pay its bills. The government already faced serious questions about its long-term capacity to make ends meet, given its aging population and its shrinking labour force that threaten to put an ever-tightening squeeze on its finances. The fallout from Muskrat Falls may bring that to a head earlier than anyone had expected. Even more urgently, the project’s runaway price tag threatens to almost double Newfoundlanders’ electricity rates – a cost that would not only pummel consumers, but would be a massive disincentive for business in the province. It’s particularly poor timing as the province begins to emerge from a severe slump that battered its critical oil sector, and wrestles its wayward finances back under control. The government – which has pinned much of its strategy for an economic renaissance on attracting outside investors – now faces a choice between two bad options. Either it must subsidize part of the steep electricity increase, at a cost of hundreds of millions of dollars a year that it can’t afford, or leave the province saddled with by far the highest power costs in Canada. “It’s the No. 1 issue, no doubt,” Mr. Ball said in an interview from his St. John’s office on a bone-chilling February afternoon. Mr. Williams was determined that this time around, Newfoundland would maintain control over Muskrat Falls – and reap the benefits. Muskrat Falls was supposed to deliver lower and more stable electricity rates to Newfoundland consumers and generate revenues for provincial coffers. Now, with the final capital cost estimated at $12.7-billion, those expected benefits have transformed into a world of worry. By law, the capital costs of the project – which is scheduled to begin producing electricity by the end of this year – must be incorporated into rates charged for the power it generates. That means that once Muskrat Falls is fully up and running, Newfoundlanders’ electricity rates stand to roughly double by 2021, to an estimated 22.89 cents a kilowatt hour – which would be by far the highest in Canada and among the most expensive in North America. Mr. Ball’s government, which inherited the headache when it took office in late 2015, is now scrambling to find ways to reduce the rate hit – “rate mitigation,” as it’s called in the industry. The government has already earmarked $200-million a year to effectively subsidize electricity costs. But last month, the province’s Board of Commissioners of Public Utilities issued a report estimating it would cost the government $744-million a year to fully mitigate the Muskrat-related increase. For a province with an annual budget of $8-billion, that’s a major expense. Of even bigger concern for many observers is the debt the province has taken on to finance Muskrat Falls. The project has taken Newfoundland’s already smouldering public-debt brush fire and poured gasoline on it. Muskrat-related loans account for more than a third of the total provincial debt, which has nearly doubled in the past decade, to more than $15-billion - or a steep 47 per cent of gross domestic product, the highest in the country. Debt expenses eat up about $1-billion a year, about 12 per cent of Newfoundland’s budget. When asked about the province’s dicey financial position, Newfoundland Finance Minister Tom Osborne’s response is that if you think this is bad, you should have seen the mess his government inherited when it took office a little more than three years ago. Since then, the government has chipped away at the deficit, reducing it to an estimated $547-million in the current budget year ending March 31, thanks to disciplined spending and a partial recovery in oil revenues. But the province still lacks a concrete plan to reduce its debt. “We’re still on track to return to surplus in 2023. Once we get back to surplus, we can start paying down the debt,” Mr. Osborne said. All of this is happening against the backdrop of Canada’s most serious demographic deterioration, which threatens to make it increasingly difficult for the province’s economy and its tax revenues to keep pace with its expenses and debt burden. At the time of the cod moratorium in 1992 – when the province’s huge cod industry was forced to shut down, essentially permanently, due to a near-extinction of northern cod – Newfoundland was the youngest province in the country, with a median age of 31 years. Today, it’s the oldest, at 46.5 years – almost six years older than the national median. The population isn’t just aging, it’s shrinking. The provincial head count has fallen two years in a row; its working-age population (15-64) has declined in each of the past eight years. Newfoundland’s death rate is higher than its birth rate. And after nearly a decade of having more Canadians move to Newfoundland than leave it – an important stemming of the province’s long-time migratory bleed – the net outflow has resumed in the past two years. And while immigration is going a long way to stem the demographic tide and sustain labour-force growth in other parts of the country, Canada’s immigration success story has largely bypassed Newfoundland. According to the 2016 census, immigrants make up just 2.4 per cent of Newfoundland’s total population – barely one-10th of the national level of 22 per cent. Despite policy changes that increased its immigration intake, Newfoundland still only brought in about 1,500 new immigrants last year – a rate of three people for every 1,000 of the province’s population. That’s far below the national average of 8.8 and less than half of the rate of the next-lowest province (New Brunswick). Economist Richard Saillant, author of a book on Atlantic Canada’s demographic plight called A Tale of Two Countries, believes the demographic slide will increasingly squeeze Newfoundland’s already strained government finances in the coming years, as the taxpayer base dwindles while the health-care costs accelerate as the senior population gets even bigger – and, on average, older. “We’ve only seen the tip of the iceberg,” Mr. Saillant said. In a 2017 report, the Parliamentary Budget Officer – the federal watchdog on government finance matters – warned that Newfoundland and Labrador’s fiscal path “is not sustainable over the long term,” in light of its heavy debt and its demographics. It called for strong medicine: Permanent tax increases and/or spending reductions totalling 6.5 per cent of provincial GDP. That’s the equivalent of a 26-per-cent tax hike or a 21-per-cent gutting of program spending. The PBO projected that without a major rethink of fiscal policy, Newfoundland’s debt-to-GDP ratio will rise from its current 47 per cent to more than 200 per cent by 2040 – and close to 500 per cent by 2060. But in the case of Newfoundland’s Muskrat Falls debt, the federal backing is quite explicit. Ottawa guaranteed two loans for the project, in 2012 and again in 2016, totalling $9.2-billion. Effectively, the federal government is on the hook for a substantial chunk of Newfoundland’s debt obligations. The city of St. John's, N.L., seen from the Signal Hill National Historic Site in February. Looking east along Highway 230 towards Fox Island and the town of Port Rexton, N.L. Of course, economic crisis is nothing new to Newfoundland. The province has seen much worse than this before. In the 1890s and again in the 1930s, Newfoundland – at the time an autonomous British colony – teetered on the edge of bankruptcy. The former was brought on by heavy debts from an overambitious economic strategy of railway construction; the latter stemmed from Newfoundland’s onerous First World War debts and the advent of the Great Depression. But it’s near impossible to have any discussion about Newfoundland’s modern economy – past, present or future – without talking about the cod moratorium. The death of the cod fishery devastated the province’s largely rural economy – hundreds of small villages dotting the coastline lost their reason for existence. More than 35,000 people in the fishery lost their jobs. Seeing no future, young Newfoundlanders left the province in droves. The province’s demographic decline was on. Then, something came along to postpone the inevitable slow death of Newfoundland’s small, aging communities: the oil boom. Newfoundland’s first offshore oil field, Hibernia, went into production in 1997, followed by Terra Nova in 2002 and White Rose in 2005. The emergence of Newfoundland’s oil industry coincided with the greatest bull market for oil on record; prices rose from US$12 a barrel in 1999 to more than US$120 a barrel by 2008. The oil boom propelled struggling Newfoundland into a new status as one of Canada’s wealthier provinces – and its government, led by Mr. Williams, spent accordingly: Per capita spending doubled from 2000 to 2010. Newfoundland’s program spending in the past year was almost $14,000 a person, the highest in the country. But when oil prices crashed in the second half of 2014, the government’s revenues plunged, exposing the province’s underlying structural problems: the debt, the demographics, the questionable sustainability of services to stagnant, remote communities. 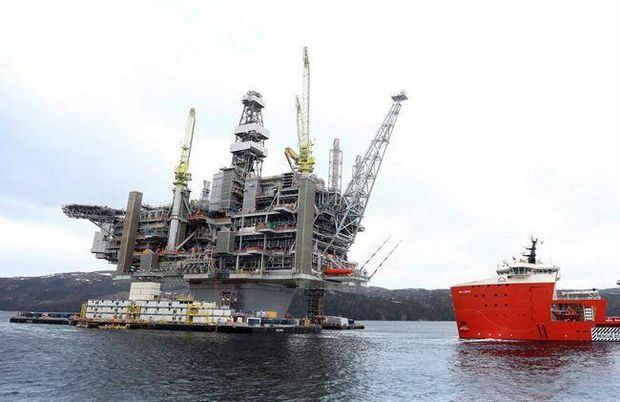 The Hebron Platform, anchored in Trinity Bay, N.L., is shown in 2017. Still, the Newfoundland government heads toward next month’s budget with some of the brightest near-term prospects in years. After what was likely a small contraction in Newfoundland’s economy in 2018, the Conference Board of Canada has projected it will be one of the fastest-growing provinces in the country this year. With oil prices having recovered from their lows, hopes are high that additional major development of the province’s offshore oil reserves is inevitable over the next decade, leading an economic revival that will replenish the government coffers. But the first order of business is to come up with a plan to address those Muskrat-related electricity costs – something that looks certain to be front and centre in the budget. One key option would be to refinance the Muskrat Falls debt, in order to reduce near-term repayments and spread out the debt over a longer time period – thus bringing down the year-to-year cost of servicing the debt. That would require going back to the federal government, as the guarantor of the project’s two key loans, to seek further agreements and guarantees. Mr. Osborne, the Finance Minister, says the province is also looking at ways to blend the Muskrat Falls power output with cheaper electricity produced at its Churchill Falls facility to reduce average prices, and increasing power revenues by selling its reserve power supplies into the spot electricity market when prices are high. The Board of Commissioners of Public Utilities report argues the province will need to pull a lot of these kinds of mitigation tools out of its hat if it expects to reverse the steep costs of Muskrat Falls power. It estimated that the cost to completely offset the Muskrat-related price increase, and keep the province’s power prices at their current 12.26 cents a kilowatt hour, would be $744-million annually. Even to maintain Newfoundland’s price in line with the Atlantic Canada average of around 16 cents to 18 cents a kilowatt hour – which would still be about a 40-per-cent increase from the current rate – would cost roughly $400-million a year. Price hikes such as that would devastate business owners such as like Peter Burt. Mr. Burt and his wife, Robin Crane, operate a gourmet sea-salt company, Newfoundland Salt Co., in Bonavista, a picturesque seaside town a few hours north of St. John’s. “Straight up. It won’t be feasible to operate." Peter Burt pours out a bag of salt that is almost finished. That’s a fate Mr. Osborne is desperate to avoid. “I, for one, will never forgive the former administration for that singular challenge that they put on the people of the province,” he said. Meanwhile, the government continues to pursue what it calls the Way Forward – its broad strategy, begun in 2016, aimed at sustaining Newfoundland’s economy and its finances over the longer haul. The plan’s goals include diversifying the economy, increasing immigration, doubling tourism, attracting resource investment, expanding agriculture and aquaculture, and promoting innovation and technology. It also encompasses streamlining the public sector to reduce costs and improve efficiency. Nevertheless, it’s clear that Newfoundland’s economic future still hinges on oil. The sector accounts for more than one-quarter of the province’s GDP and offshore oil royalties generate about 15 per cent of government revenue. (That’s less than half of their share of revenues in the early part of the decade, a decline owing largely to the drop in oil prices.) By comparison, two of the key growth sectors the government is pursuing in its diversity efforts – tourism and technology – make up just 4 per cent of Newfoundland’s GDP, combined. The Way Forward has targeted a doubling of oil production by 2030 – an ambitious goal in a sector in which production has been trending generally downward for more than a decade. While the province has developed four offshore fields in the past 22 years – including the latest, Hebron, which went into production in late 2017 – Mr. Osborne believes the industry is still just getting started, based on Newfoundland’s considerable untapped offshore reserves. But future development may be more complicated, and costly, than what the province has seen in the past. The fields that have been developed to date have been in shallow water on the continental shelf – the deepest of them is 120 metres. The deepwater fields that constitute the next wave of potential development – including Bay du Nord, the next project under consideration, in the Flemish Pass Basin – are more than a kilometre deep, and 500 kilometres removed from the Newfoundland coast. It’s a whole new frontier for the province and prospective producers; investment decisions for the envisioned multitude of major projects in the next decade are far from a slam dunk. Nevertheless, the government sees its natural resources – not just oil, but also mining and forestry – as pivotal to keeping the economy afloat, and creating the jobs that will attract workers to the province, thus stemming the demographic decline. "We are going to build on the assets that we have naturally available to us, and that’s our natural resources – attracting that investment,” Mr. Ball said. On the population front, the government set a goal to increase its annual immigration intake by 50 per cent by 2022, and it is halfway to that target – but it started from the country’s lowest base. Tony Fang, a Memorial University of Newfoundland economist who specializes in demographic and immigration issues, says Newfoundland needs to roughly triple its immigration targets just to match the national immigration rate – and should probably shoot higher, given its serious demographic situation. “Immigration is not a silver bullet. But it’s definitely a piece of the puzzle,” he said. But while economists believe the Way Forward is a move in the right direction, they are skeptical that there will be enough there to overcome the economy’s long-term ills. Mr. Saillant, meanwhile, believes the ultimate solution for Newfoundland may have to come from Ottawa. He argues that we need to rewrite the rules for federal health transfers and/or equalization – to account for the province’s deep demographic disadvantage. People out for dinner or drinks at the Mallard Cottage in St. John's. Comedian and commentator Mark Critch, of This Hour Has 22 Minutes, is photographed at the Mallard Cottage. Comedian and lifelong Newfoundland resident Mark Critch, star of CBC’s This Hour Has 22 Minutes, argues that government leaders have been slow to acknowledge the seriousness of the problems the province faces – and voters have let them. St. John’s lawyer Melissa Royle, Mr. Critch’s fianceé, agrees. “I don’t think that, as a province, we’ve adequately realized the magnitude of this situation – that there’s not enough young people here to continue supporting the province the way it’s going,” Ms. Royle said. But when he tries to explain why he still believes in the place – indeed, why many of his Gen X and millennial friends have hope Newfoundland can overcome its challenges to spawn an economic revival – he slips easily into weather-hardened-sailor metaphors. “Newfoundlanders and Labradorians are always very aware of storms on horizons. You look out and you see those clouds. I think a lot of people here, and it may come from the seafaring way, will bunker down in storms, knowing they will pass,” he said. And he points to Mr. Williams – and the dream of Galway – as evidence that bold-thinking Newfoundlanders still have faith the province has a bright future beyond the current clouds. "If you did not think the economy was better, you’d be an idiot to build a town,” he said. There are glimpses of what might be possible if Newfoundland shifts its demographic trend and cod-dependent past, and finds a new path for its younger generation. One of them is in Bonavista – the former "Cod Capital of Newfoundland” that simply refused to die. In the years after the cod fishery shut down, this picturesque seaside town (population 3,500) lost 20 per cent of its population. Homes and workplaces were abandoned, boarded up, left to rot in the harsh North Atlantic wind. With the town’s tax base gutted, its municipal government was spending 38 per cent of its budget simply to service its debts. Then, the town council decided to do something about it. Bonavista Mayor John Norman refers to it as an investment in “place capital” – nurturing and building on the assets that give the town its unique value as a place to live and work. “We said, community development and ‘place identity’ is incredibly important in community pride and in retaining and recruiting year-round residents and business investment. If that happens, it will become – naturally – a nice place to visit,” said the energetic 33-year-old, one of the youngest mayors in Newfoundland. A view of homes in Bonavista, N.L. But it worked. Tourists have flocked to the new-and-improved Bonavista, fuelling a resurgence in tourism-focused businesses. In time, tourism has proven to be a catalyst for a broader investment boom unlike anywhere else in the province. In the past 18 months, there have been 31 new business startups in the area – from small manufacturers to craft brewers and distillers to textile artisans. Its population has gotten younger three years in a row, as millennials flock to the town, many of them with an entrepreneurial eye on getting a piece of the action. Real estate values rose 17 per cent last year. Old Bonavista has been reborn as one of the hippest places in Newfoundland – a community of artists and artisans and food and festivals – a place where people want to be and businesses see opportunity. The town has both cut taxes and increased services. Editor’s note: An earlier version of the map of Newfoundland misidentified Corner Brook as Bottom Brook. The location on the map is the former, not the latter. The map has been updated.